Coweta County’s employment increased by more than 2 percent, adding 923 jobs since last year. Most of those job gains occurred in food, health care, retail trade and administrative support, according to an economic overview presented by the University of West Georgia’s Dr. William (Joey) Smith, chairman of the university’s economics department. Additional panelists included Chris Clark, Georgia Chamber of Commerce president and CEO and Sally Wallace, dean of the Andrew Young School of Policy Studies at Georgia State University. The panelists presented data and statistics at the 2018 Economic Forecast Breakfast on Tuesday morning in Carrollton at the University of West Georgia. 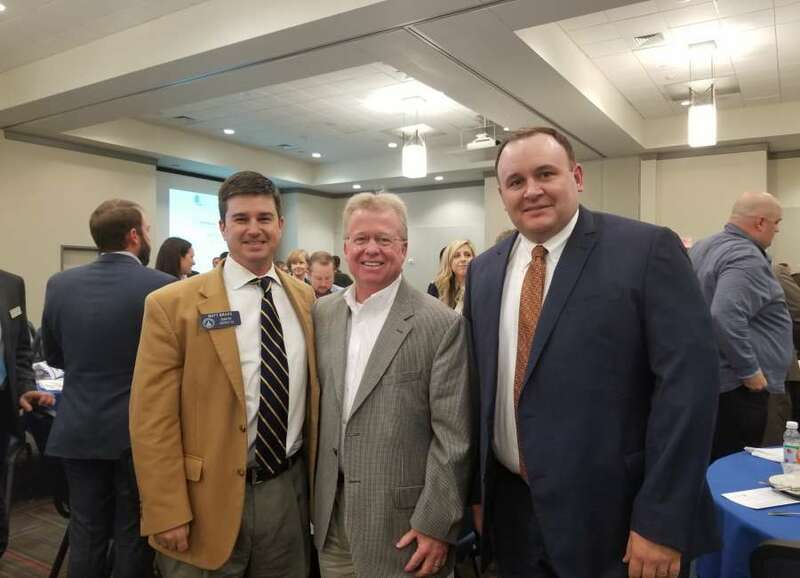 The annual breakfast gave a West Georgia regional update, which includes Coweta, Carroll, Douglas, Haralson, Paulding and Polk counties. The most recent unemployment rate for Coweta, as of August 2018, is 3.8 percent, down from last year’s rate, which was 4.3 percent. The number of initial unemployment claims was 10.2 percent lower the first eight months of 2018. Smith said Coweta’s largest employment sector, retail trade, grew by 10.3 percent, adding 610 jobs. Health care, the second largest employment sector in Coweta, added 258 new jobs and grew by 4.9 percent since last year. The health care industry slowed down in job growth in 2017, only growing 1.1 percent. Smith said unemployment numbers were at a historic low for the West Georgia region. “Initial unemployment claims tell which direction the economy’s going in,” Smith said. He compared the West Georgia economy as a healthy turtle instead of a unhealthy rabbit. Smith said manufacturing is very important and is almost back to where it was in 2007 before the Great Recession. “We predicted there would be 21,990 jobs added in manufacturing, but substantially more jobs than we expected were added, totaling 22,346,” Smith said. He said he would not be an economist if he did not offer any gloomy news. Smith said the addition of the jobs is dependent on tariffs. An area of concern for Smith is also finding qualified workers. Clark with the Georgia Chamber of Commerce said many companies are deciding where to locate based on where the talent is. Clark said he believes sustaining qualified talent in Georgia will be a big issue for the next governor and lieutenant governor. “It’s no longer about location, location, location. Now about it’s about talent, talent, talent,” Clark said. Clark said many millenials will fill the millions of jobs baby boomers will retire from within the next 10 years. He commended Newnan for making improvements to its downtown district and other initiatives to attract millenials, keep the talent and to be successful. Wallace spoke about Georgia’s tax landscape. As far as housing in the region, Smith said, “The housing market has almost completely recovered from Great Recession. “Coweta had the second largest number of permits that have been issued in last year,” Smith said. He said those numbers were slightly down from last year. The average time it takes to close on a mortgage is down to 56 days, from 64 in 2017.